The Coalition for Global Hearing Health (CGHH) met October 12 – 14, 2017 for the 8th annual meeting in Miami, Florida to continue the mission of enhancing ear and hearing health services in low and middle income communities. According to the World Health Organization 2017 report, over 5% of the world’s population, 360 million people, have disabling hearing loss. The majority these individuals live in low and middle-income countries. The CGHH meets annually to discuss how to support these individuals, share challenges faced and solutions developed while also raising awareness on important issues and exploring new technologies. Can advanced hearing technology support individuals living in some of the most remote parts of the world? Yes: The ability to provide mobile audiometry with data management using tablet-based or smart-phone audiometers is now available. Applications of mobile testing go beyond identifying hearing loss and include monitoring individuals receiving ototoxic medications. Further development of mobile test measures using high frequency audiometry, OAE probes and sound isolation were also discussed. Karina Swanepoel, an audiologist from South Africa and representative from the Hear The World project partner, mHealth Studio/HearX Group presented research on a novel test paradigm for improved sensitivity and time efficiency. Her discussion and others demonstrated that technical advancements will be a large part of delivering hearing healthcare in all parts of the world. Invited guest speaker Erin Kobetz, PhD, MPH, from the University of Miami Health System initiated the discussion of involving local community leaders when designing health care screening and treatment programs. The discussion of community engagement continued as advocates provided examples of how hearing healthcare programs are more effective and sustainable when healthcare delivery involves multiple players. Joanne Travers, from Partners for a Greater Voice, a Hear the World project partner, presented a model for engaging caregivers to empower them be emotionally ready for supporting a child with hearing loss. A different approach was presented by Hear The World detailing the Sonova Employee Engagement program which utilizes Sonova employees to assist in projects throughout the world. Other discussions included involving communities to reduce noise-induced hearing loss, utilizing a multi-disciplinary team when creating programs and the importance of raising community awareness on hearing healthcare issues. Another trend of discussion at the 8th CGHH was best practices. Though the location for providing hearing health services may not look the same in all parts of the world, the goal of providing care with high ethical and efficacy standards is consistent. One example was presented by Paige Stringer of the Global Foundation for Children With Hearing Loss, a Hear the World project partner and winner of the 2017 Richard Seewald award. Paige presented on the importance of investing in cultural understanding as a best practice for humanitarian work as Global Foundation has done in Vietnam, Ecuador and Mongolia. By building rapport with the host country and adapting local customs, the Foundation has created a unique model for providing services in low to middle-income areas. 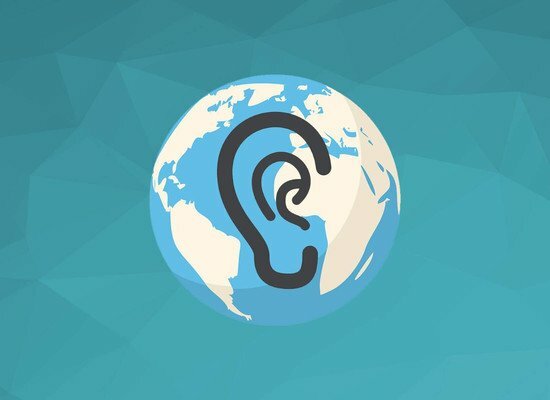 The 8th annual Coalition for Global Hearing Health once again met the organization’s goals of providing a platform for an international discussion on the global status of hearing healthcare. As technology, community involvement and use of best practices was discussed over the three-day conference, one feeling persisted: the international community must continue to work to provide hearing and prevent hearing loss in all parts of the globe.